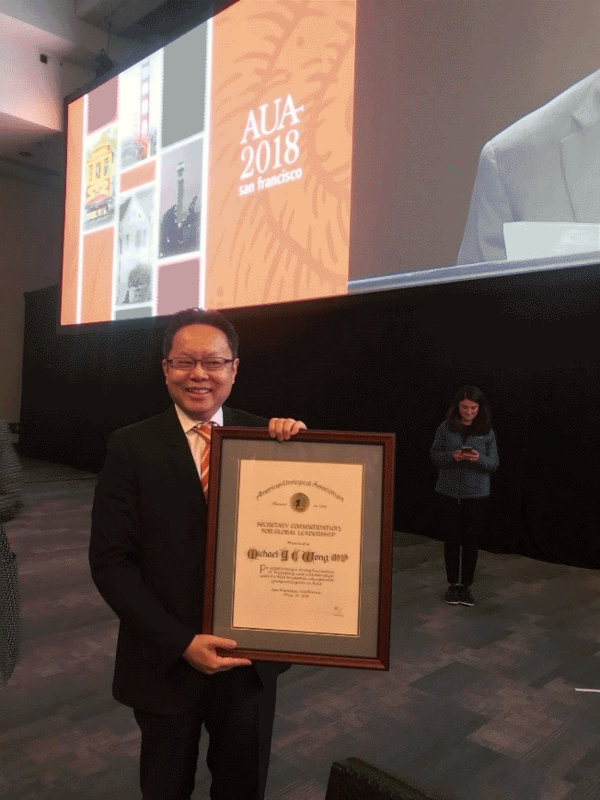 Dr Michael Wong was selected as a recipient of the 2018 American Urological Association (AUA) Secretary Commendation for Global Leadership for establishing a strong foundation of friendship and collaboration with the AUA to advance education for young urologists in Asia. Michael was one of the three world-wide recipient of this prestigious award in 2018 during the US National Congress. 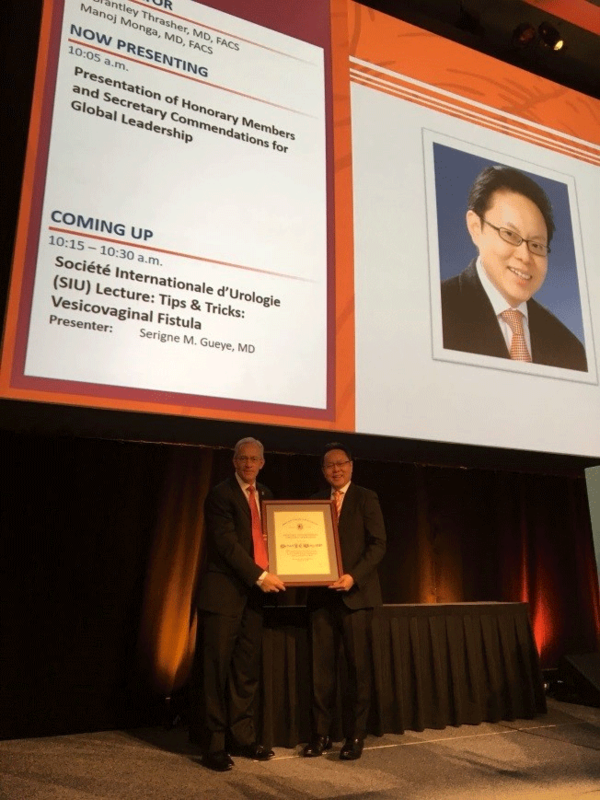 Dr Wong is the first Singaporean and only second Asian urologist to receive this international award and he was commended for his outstanding efforts and unique ability to serve as a liaison in building bridges across borders for collaboration for international education. That has not only opened avenues for communication, fostered educational exchange for young urologists across the globe and more importantly left an indelible mark on the future of urology.